Day 153—2 April 2012 Follow the leader For years, DH and I have enjoyed weekly lunch dates. It’s nice to have some one-on-one time, before we’re completely exhausted by the day. We’ve added a mini-lunch (rushed, but still worth it) on Mondays, mostly to get me out of Super Sylvia’s way while she cleans. 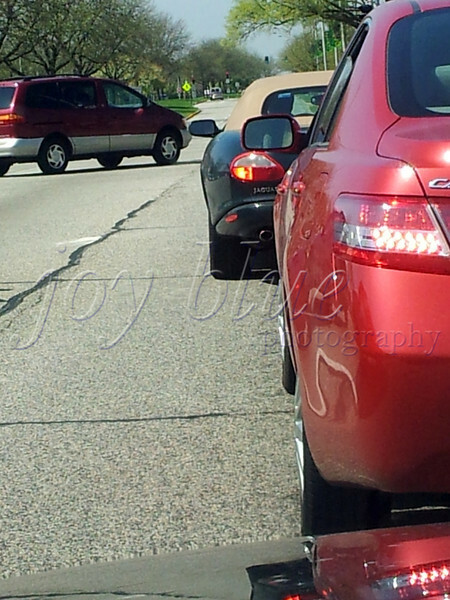 Today, I was two cars behind my honey, as he returned to work and I headed home.